Well, unless you have been sleeping with the fishes, you’ve probably heard of the wacky transfer deals that have been going down the last couple weeks. Two of the world’s best players – Kaka and Cristiano Ronaldo – have been bought for record-breaking transfer fees by legendary Spanish La Liga giant, Real Madrid. Real Madrid has been “making it rain” like Pacman Jones, dropping large sums of money on teams who have taken a hit due to the world financial crisis. The STO Commish thinks they are overpaying for their megastar players, and almost hopes they can’t make a serious impact on the La Liga table next season. Sure, they have been poor lately and need all the help they can get, but even with galacticos like Ronaldo and Kaka, can they beat Barcelona? After all, Barca is talking about making a ridiculous deal for Zlatan Ibrahimovic, the winner of the 2008/2009 Serie A Golden Boot. Where does ZI even play for Barcelona? If they keep Eto’o and Henry (and of course, Messi isn’t going anywhere) they would literally be fielding a four striker offense with four of the best five to ten strikers in the world. That would put fear in the heart of anyone thinking of taking down the Champions League title holders. With Real and Barca spending so much, it is inevitable that the domino effect will begin. Man U will spend mightily to woo a star to replace Ronaldo, perhaps Antonio Valencia of Wigan. Wigan – in turn – will need to replace Valencia with a less talented, yet more affordable star player as well. Whoever said money can’t buy happiness was full of it, because the best teams have been doing it for years. If you want to win in world soccer, you need 100’s of millions. The huge sums spent on players erodes team unity and chemistry. But, who is to blame? 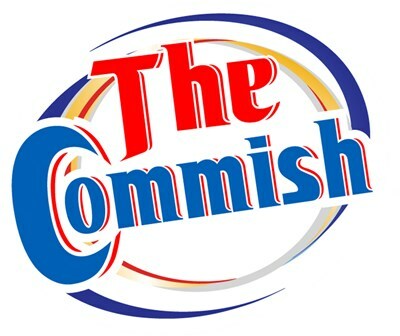 The STO Commish blames everyone. I blame the players for caring less about their teams, and more about their next big contract. These whiny divas (Ronaldo) want to move to new leagues to be the center of attention. Others, like Kaka, depart because they cannot turn down the financial gain. Either way, both men are somewhat disloyal. You know what that means? They are going to wake up with a horse’s head in their bed. All jokes aside, kids today are being deprived of growing up with the same hero for more than 3 or 4 years due to this transfer mess. To become a sports icon in America, you have to lead a single team to several titles so your squad is proclaimed a dynasty. Think of Bill Russell, Joe DiMaggio, Ronnie Lott and, of course, Michael Jordan. Stars today always have a price tag on their back, and a rambling auctioneer yelling in their ear. Other than a few exceptions (Giggs, Gerrard, Maldini, etc. ), every big soccer star of the last decade has been bought out pretty much. The solution is simple and it is the same solution that could help some American sports as well (MLB). Install a salary cap. Then, there will be no more Man Us, Real Madrids, Yankees, or Red Sox. There will be no more all-you-can-eat star player buffets. It’s simple. Create more parity and financial security with a cap. The spending Real is engaging in now will damage their team and the league. Due to their irresponsibility, Ibrahimovic and other stars who do move on in the future will demand even higher ransoms. Teams will be stretched to the brink of bankruptcy trying to pay for over-the-hill mids and pouty forwards. You know the second Man U sold Ronaldo, every top flight playmaker in Europe heard a cash register in his head. Ka-Ching! The STO Commish hates the current transfer rules because they illogically allow a crappy team to sell their best player to a better team, but at the end of the season, the crappy team comes out ahead on the balance sheet while the “better” team gets a title, and a financial headache. In the end, you cannot deny that a salary cap makes sense in every pro sport because it creates a level playing field. It also creates more money, a more competitive atmosphere and even more fans. Where’s Chiklis this week? Well, he had a prior engagement, and he refused to break it. Why?